Bikers are often seen as beer-fueled, riot-seekers. While some live up to the reputation, not everyone who enjoys riding a motorbike is part of a gang. Modern motorcycle enthusiasts are regular folks like the rest of us—with families, jobs, and businesses. Nikki Gaetano of A.F.E. Cycle Parts. Nikki is one of the founders of an e-commerce store that sells different brands of motorcycle products and apparels. According to Nikki, one of the biggest misconceptions that people have about bikers is that they are scary. The tough guy image of bikers was popular in the 1960s. But today’s motorcycle riders are more of the fun-loving kind. Some motorcycle gang members still ride in the city, but a lot of modern bikers have distanced themselves from the archetypal rebellious image. In recent years, more women are riding their dressers and cruisers in the name of fun and adventure. According to Motoress, 19% of the motorcycle riders in the United States are female. Nikki is part of the growing number of women who have swung a leg over a bike for fun. She and her fiancé, Scott Purdy, have been together for three and half years and share a passion for motorcycles. It didn’t take long for the couple to realize that they wanted to run their own business. 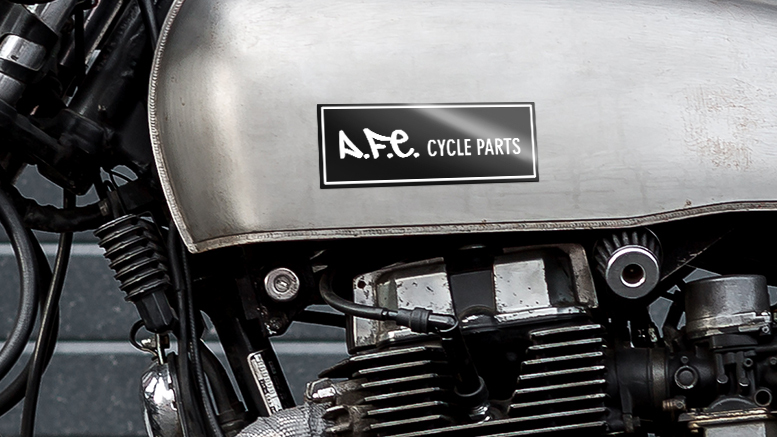 With their mutual interest in motorcycles and Scott’s experience in the motorcycle industry, the couple founded A.F.E. Cycle Parts in October 2018.
Who doesn’t want to be their own boss? Thankfully, we were blessed with the opportunity to try it out. A.F.E. Cycle Parts is special to Nikki because it’s a business that she and her fiancé have created out of their love for riding motorcycles. Their store is a one-stop shop for those motorcycle gears, clothing, and accessories. The brand’s most popular product so far is the A.F.E. T-shirt, which customers can purchase at the A.F.E. Cycle Parts website. The A.F.E. 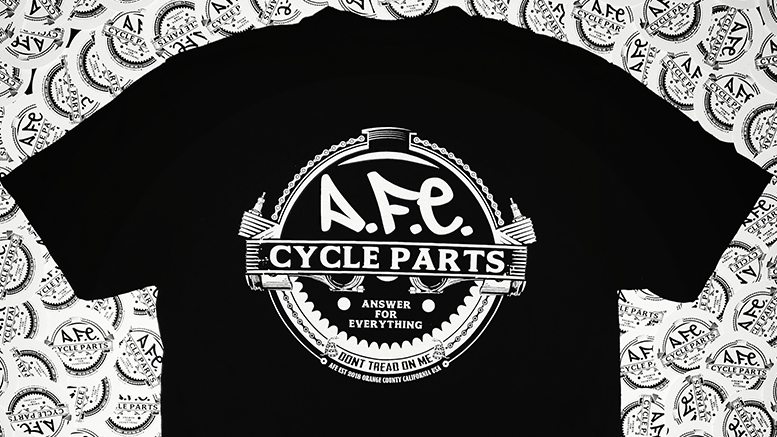 Cycle Parts T-Shirt is one of the most popular products of the company. In addition to their own merchandise, the company also carries products from popular brands like Biltwell, Imzz, Danny Gray, and TC Bros. Their products range from helmets and t-shirts to handlebars and saddle seats. 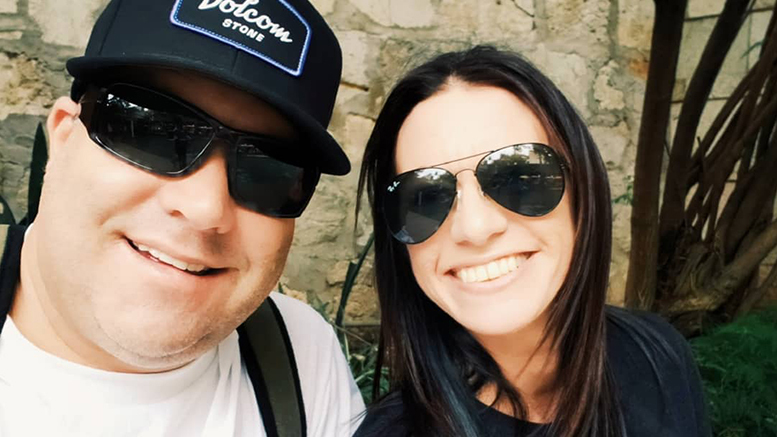 Nikki and Scott find their customers mostly through motorcycle shows and social media. While those bring a good number of people to their store, Nikki finds marketing their business a bit tricky. Since A.F.E. Cycle Parts is a relatively new company, Nikki and Scott need to create a buzz around their business. A.F.E. 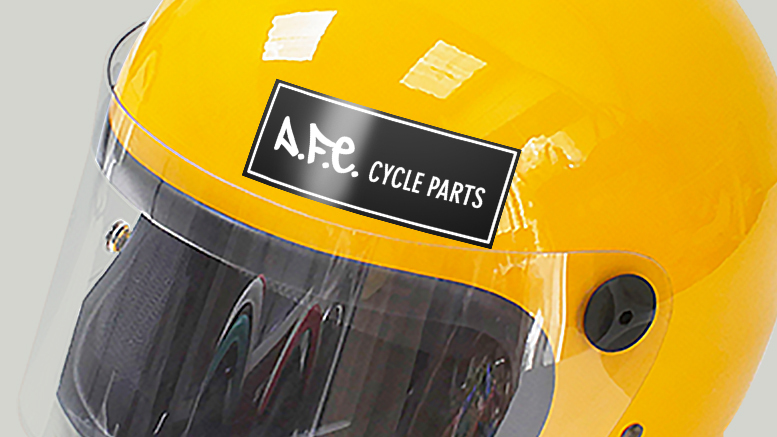 Cycle Parts is one of many companies that use the power of sticker marketing to promote their business offline. 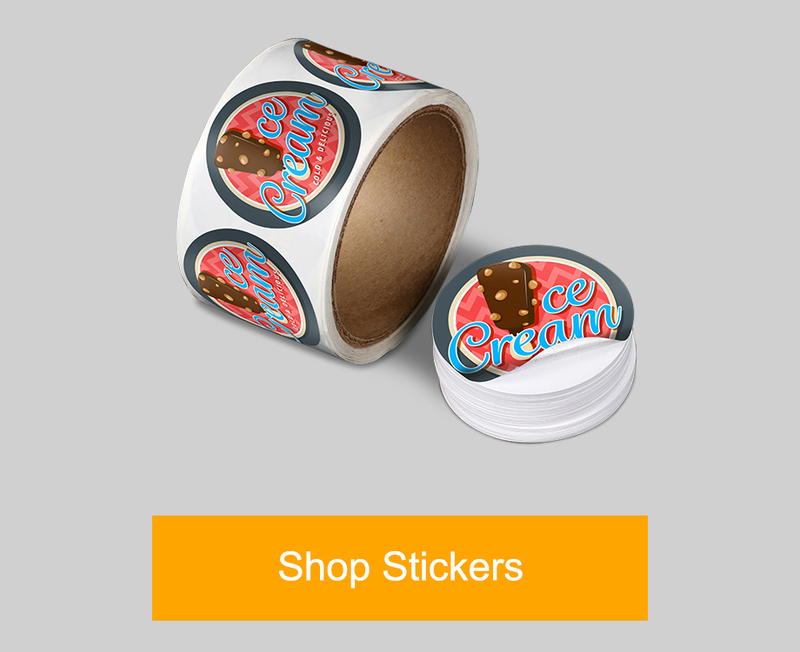 PrintRunner customers have used stickers to build hype, increase brand awareness, and make their product stand out from the rest. 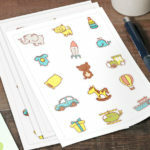 Need custom stickers for your brand? 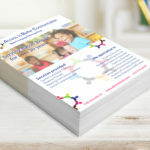 Check out the sticker printing options on the PrintRunner website. 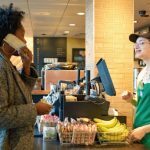 In a competitive marketplace, giving customers a little something makes a difference. Whether it’s a handwritten thank you note or an engraved pen, a little surprise makes for a share-worthy experience. For A.F.E. 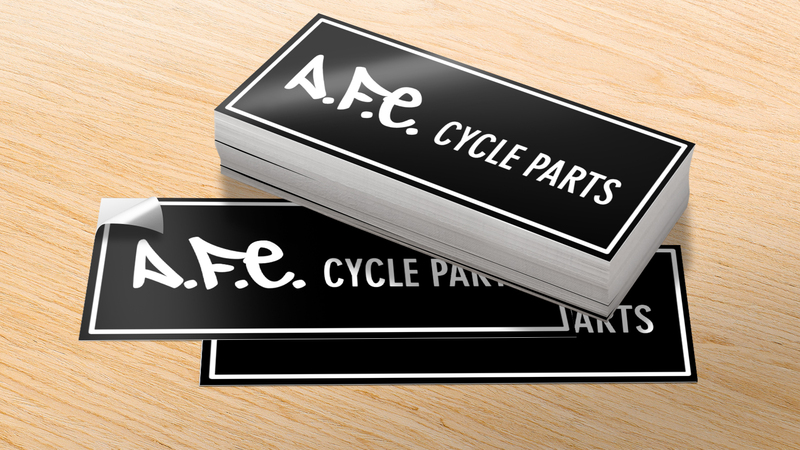 Cycle Parts, that little something is a cool logo sticker that customers can slap on their bikes, bags, or helmets. It’s a simple gesture that will hopefully get people talking about the brand. How can something so simple be so effective? Sticker advertising has been around since the 1800s. This old-school form of advertising helps brands stand out offline. The cool stickers that Nikki ordered from PrintRunner feature their brand logo. The design is simple, yet it captures the spirit of their customer base: full of fun and adventure. How has PrintRunner helped grow your business? Tell us! Send us an email at blog@printrunner.com. Cecille Doroja writes about how digital printing can help marketers get more customers. Although she spends most of her time online, Cecille appreciates the old-fashioned way of writing and has a growing collection of notebooks and stationeries at home.